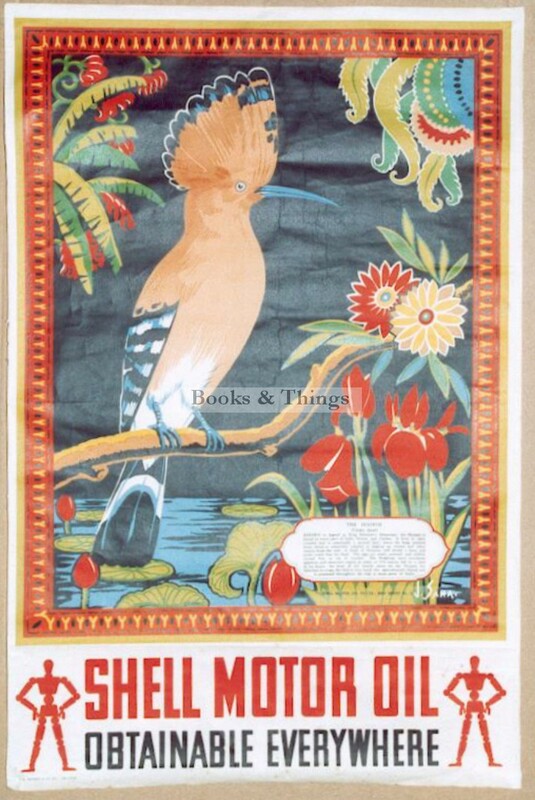 J. Saha: The Hoopoe – Shell Motor Oil poster. 76 x 51cms (30 x 20 inches). Printed in Calcutta. Few creases. The panel at the bottom is stuck on. The stick men were designed by McKnight Kauffer. Category: Shell Posters. Tags: J. Saha poster, Shell Motor Oil poster, Shell Poster, SHELL POSTER FOR SALE, Shell poster vintage, The Hoopoe Shell poster.